Leather File Folder PSD Pack - Free Photoshop Brushes at Brusheezy! 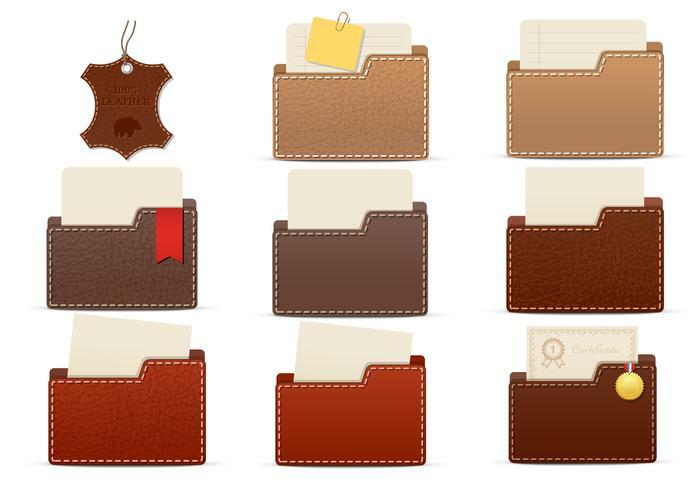 Spice up your web organization and website icons with this new Leather File Folder PSD Pack! With this pack, you'll receive 8 different "100%" leather file folder PSDs as well as one leather tag PSD. You'll love the varying colors of brown and cafe in this leather folder PSD pack. Rather have the vector pack? Download the <a href="http://www.vecteezy.com/miscellaneous/59796-leather-file-folder-vector-pack/premium">Leather File Folder Vectors</a> over on Vecteezy!